PAD-US is nearing publication of its version 2 release, which is a major improvement in coverage, structure, and quality over version 1.4. 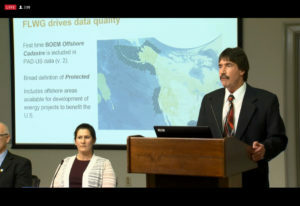 To preview the database changes and to highlight roles of federal agencies in developing this new version, the USGS PAD-US team led a briefing presentation at the Department of the Interior on July 9, 2018. 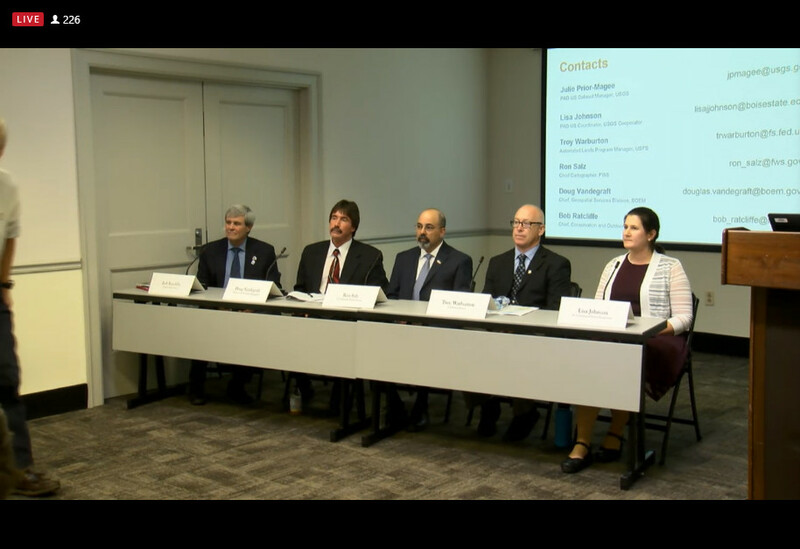 The presentation featured representatives from four of the agencies in the Federal Lands Working Group (Doug Vandegraft of Bureau of Ocean and Energy Management; Troy Warburton of the US Forest Service, Ron Salz of the US Fish & Wildlife Service and Bob Ratcliffe of the National Park Service), plus the PAD-US Coordinator, Lisa Johnson of Boise State University, a USGS Cooperator. You can watch the hour-long presentation from the Dept. of Interior media site.